An integral part of the Eco zoo’s personality, its vegetation makes a natural green paradise with its amazing biodiversity. Around 50 species of trees and bushes, many of them local, contribute to making the Zoo’s habitat wild and natural, sheltering many unique local fauna. 100 year Oak trees watch over 150 remarkable kinds of plants. The Zoo will show its visitors that there are no real weeds. Every plant is regularly inspected and signboards, all over the Park, show which is which. 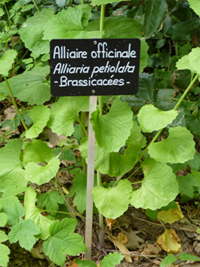 Therefore, the Visitor is made aware that a weed that might normally be destroyed, is actually a verbena (verveine) or a wild dock plant, for example.